It can be quite confusing especially if it’s your first time traveling by air. 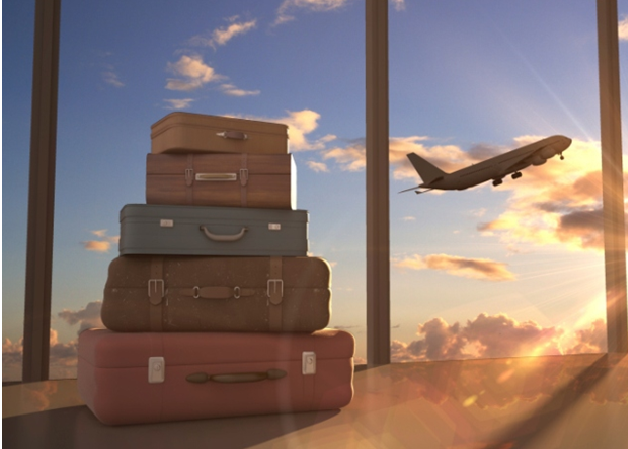 You are not sure what exactly to pack and it can be a little embarrassing and annoying when you discover you can’t fly with half of what you have packed because they are prohibited. Not to worry Jovago.com Nigeria, Africa’s largest online hotel booking portal has put together some guidelines for you so you do not have to part with any of your items at the airport. Though there a few variations depending on the airline you will be flying with, here are some common things you won’t be allowed to fly with. Quickly before proceeding, here are some terminologies you may come across in the cause of the article: checked baggage – luggage that is not accessible to you throughout the time of your flight and carry-on bag – this is also called hand luggage, a small bag you are permitted to carry into the passenger cabin. All firearms and ammunition are prohibited in carry-on and checked baggage, either are explosives. If you are carrying a gun, you should declare at the point of entry and you must have a license for it. Traveling with a high quantity of any type pharmaceutical products is not also allowed. Medications are however allowed with no disturbance. It is always best to declare upon arrival the carriage of luxury jewelries or precious stones. Also note that if this is in unreasonably excess amount, it may draw certain questions at the checkpoint. For certain countries like USA, you must declare your money to customs if it exceeds $10,000 or its equivalent in any foreign currency. In Nigeria, gifts and souvenirs exceeding a value of N50, 000 are likely to be banned by customs; excluding items like camera, smartphones and other luxury goods. Sharp objects, which are capable of causing injury, are things customs must not find in your baggage. Things like knives, hatchets, arrows, darts etc. are not allowed. No need to dwell much on this, it is what many know already, cocaine, marijuana and any other sort of hard drugs is highly prohibited. If caught, there is a heavy penalty for this including serving jail term. Any sort of fresh food is not allowed. Though I doubt anyone would want to carry fresh fruits, vegetables, eggs or any sort of persevered foods all the way from one country to another. However, such items are prohibited. Some airlines do not allow water or oil on board. If you are still in doubt of what items you should carry, it is always best to check with your airline to know what is allowed or not.